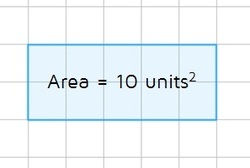 Area is the amount of space inside a shape. It is measured in square units. For the rectangle below, we can just count the number of squares that fit on the inside and see that the area is 10 square units. 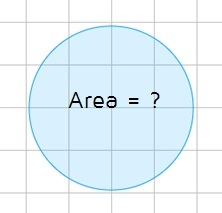 What about the area of a circle? If we place a circle on a grid, we can see that it's not quite as simple. There are many squares that do not fit completely inside the circle. 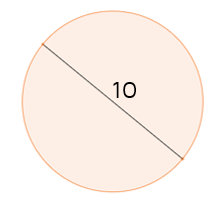 The area of a circle is almost always a decimal - it's hard to fit squares inside a round shape! 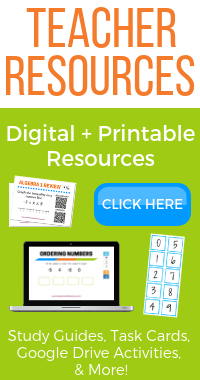 We can't count the squares to find the area of a circle, we need to use a formula instead. 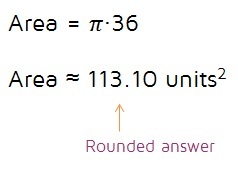 How do you use the formula to find the area of a circle? 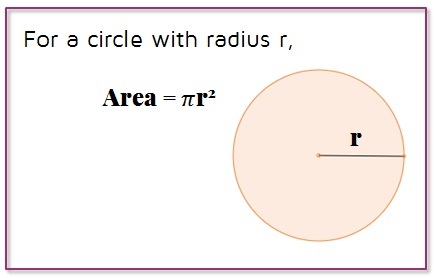 Step 1: Identify the radius (r). The radius is the distance from the center of the circle to a point on the circle (the distance halfway across the circle). Step 2: Plug r into the formula. Step 3: Simplify. Make sure to follow the order of operations (PEMDAS). Exponents come before multiplication in the order of operations so you need to square the radius first, then multiply by pi. 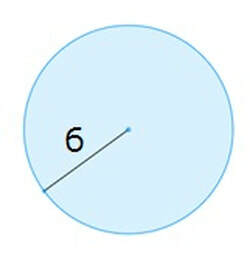 Find the area of the circle. ​Step 2: Plug 6 into the formula. Step 3: Simplify. Follow the order of operations - do the exponent first, then multiply by pi. If your calculator doesn't have a pi button, you can use 3.14 to approximate pi. 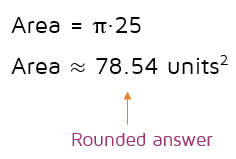 The answer above is an approximate answer rounded to the nearest hundredth. If you are asked to leave it as an exact answer, you can just leave pi in the answer. ​Step 2: Plug 5 into the formula. Step 3: Simplify. Make sure to follow the order of operations - do the exponent first, then multiply by pi. If your calculator doesn't have a pi button, you can multiply 25 by 3.14 to get an approximate answer. If you are asked to leave the answer exact, you leave the pi symbol in the answer.